The Prayer Walk at Holy Trinity was initiated by the Men's Fellowship of the Church. It was part of their contribution to the 160th Anniversary of the Consecration of the Church which was in 2015. There are 12 benches each with either a Bible verse or hymn to help lead in prayer. This is a lovely place to spend time with God in solitude. 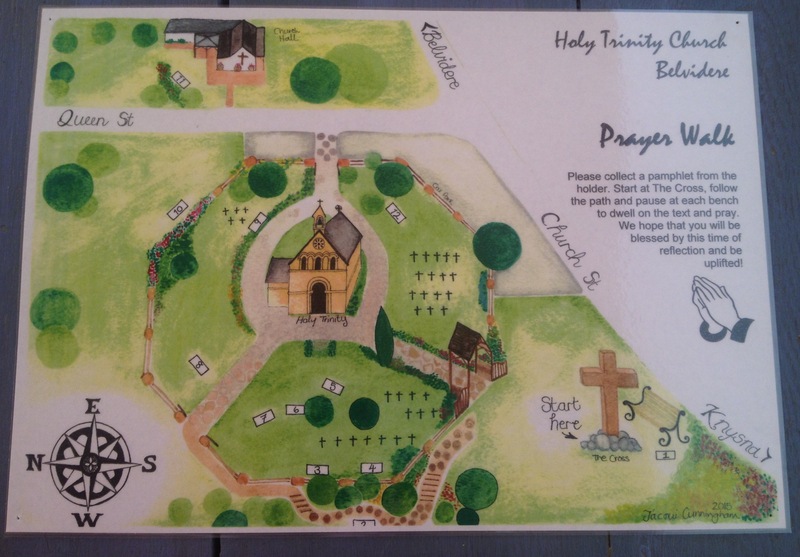 There are pamphlets available in the Church which have the verses or hymn, a place to write your own prayers, and a map to guide you on your way. The Parish office will be closed on Good Friday (19 April) and Family Day (22 April).